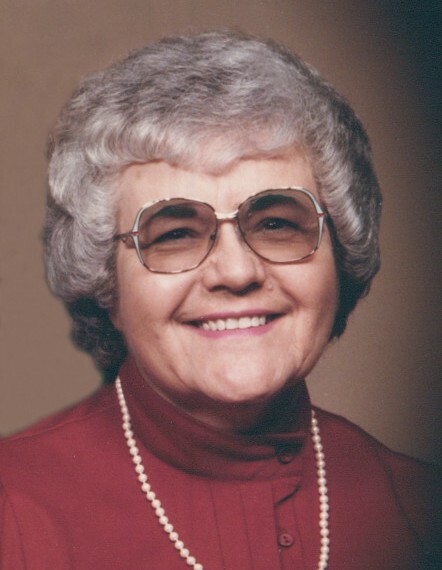 Elon-Hallie Murray McCulloch, 92 went home to be with the Lord on Thursday, March 28, 2019 at Blakey Hall surrounded by her family. Hallie was born in Alamance County to the late Clyde and Dora Loy Murray. She was the wife of the late James “Jim” Huss McCulloch. Hallie retired after 40 years with AT & T. She was a member of The First United Methodist Church of Elon where she served as a greeter for many years. She is survived by her sister, Lillie Robbins of Burlington and numerous nieces and nephews. She was preceded in death by her husband, parents, sister, Lucille Parrish and her brothers, Joe, Ves and Luther Murray. The family would like to thank the caregivers at the Cottage at Blakey Hall and especially her care nurse, Shirley Graves and also the nurses and staff of Hospice of Alamance-Caswell. A graveside service to celebrate her life will be held on Saturday, March 30, 2019 at 11:00am by Rev. Eddie Self. The burial will follow at Stony Creek Presbyterian Church cemetery. The family will receive friends from 9:30-10:30am at Lowe Funeral Home and Crematory prior to the graveside service. Memorials may be made to Hospice and Palliative Care of Alamance-Caswell, 914 Chapel Hill Road, Burlington, NC 27215 or The Stony Creek Presbyterian Church Cemetery Fund, 2140 Stoney Creek Church Road, Burlington, NC 27217.